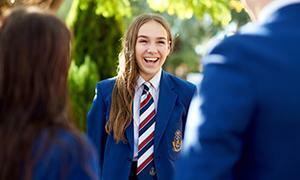 The Nunawading Christian College scholarship exams for 2020 are now open. Nunawading Christian College is pleased to offer three academic scholarships to support the tradition of academic excellence at the College. Scholarships are available for students entering Year 5, Year 7 and Year 10 in 2020. The scholarship exam will be held at the College on Thursday 2nd May 2019. Closing date for applications is Monday 22nd April 2019. Nunawading Christian College (NCC) is a coeducational Christian school in Melbourne, located a short walk from Nunawading railway station. NCC provides a values-based education from Early Learning to Year 12. The College bus provides convenient access to our school for families looking for a Christian early learning centre, primary school or secondary school in Blackburn, Mitcham, Wantirna, Heathmont, Ringwood East, Donvale and many more surrounding suburbs.